The Wine, the Myth, the Legend...Caymus Cab!! Sorry but due to overwhelming demand this wine is no longer available. Charlie Wagner founded Caymus Vineyards in 1972 and has made Napa Valley Cabernet Sauvignon every year since its founding. 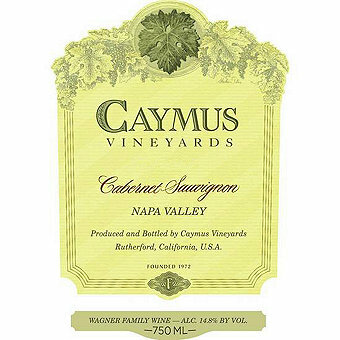 Caymus focuses entirely on this variety and the winery's 60-plus acres of estate Cabernet Sauvignon in Napa Valley's Rutherford District forms the foundation of Caymus' Cabernet every vintage. And every vintage Caymus Cabernet is snapped up by Cab lovers and collectors while it's lauded by critics. This wine is from the excellent 2016 vintage that's been rated 95 points by Wine Enthusiast. We expect this wine to to be no less than outstanding. But of course we do...it's Caymus!